Turn your lights on or off from anywhere! 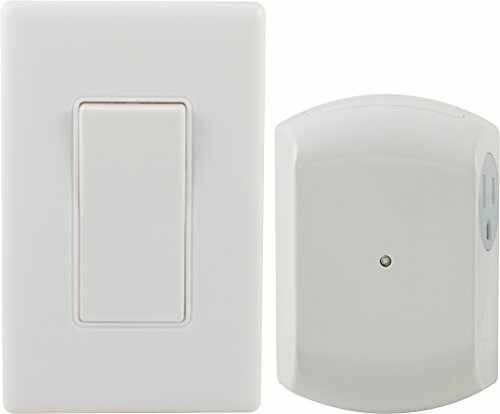 With remote operation up to 100 feet, the GE Wall-switch Light Control Remote allows you to control any light with the touch of a button. The wall-switch is easily installed with the included mounting bracket, and the remote includes a 12V A23 battery to get it started. Turn your lights on and off from the comfort of your sofa or bed with this handy, easy to use switch!